Just because it’s PALEO doesn’t mean it has to be plain. Dress up your spring and summer favorites by stocking up on the complete line of Steve’s PaleoChef dressings. Sauces this clean are hard to find and even harder to make. Stop searching and stop mixing and leave the chef-ing to us! Perfect for all of your summer meats, PaleoChef can be your best grill friend. Peach BBQ and Maple Mustard are made for marinating and basting ribs, chicken, pork and fish. Swap your old sugary favorite condiments for clean new ones! Top your favorite grass-fed steak with Steak Sauce or a delicious ground-round with Ketchup. Try tossing wings fresh off the grill with Wing Sauce for a crowd-pleasing treat. Grilling vegetables releases wonderful caramelized flavors, and touch of Ginger Cilantro is the perfect condiment. Your imagination is the only limit for salads if you’re tossing with PaleoChef. Toss your fresh summer Romaine with Caesar dressing for a paleo-style twist on this classic favorite. A drizzle of Tomato Balsamic over fresh summer basil and tomatoes is a perfect compliment for all your grilled meats. Looking for a fast paleo side dish? Grab a bag of pre sliced cabbage and sliced almonds. Mix with Ginger Cilantro and you will be a rock star. Add fresh mango slices if in season. 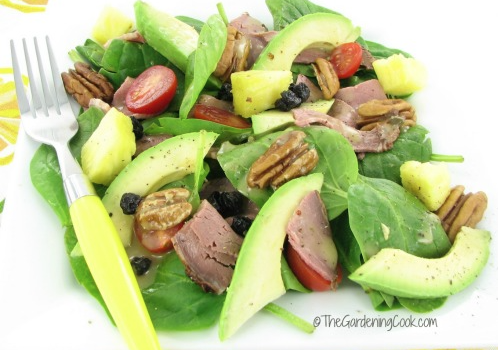 For something extra special, check out this recipe Paleo Beef Avocado Salad from our friend the Gardening Cook! Kids aren’t the only ones who like to dip. Ketchup and Maple Mustard can help you work your old favorites back into your new Paleo lifestyle. Check out Sriracha and Wing Sauce to add some ZIP to your DIP. It’s happened to all of us. You’ve got some beautiful chicken breasts thawed and you’ve got a mouth watering BBQ planned only to be canceled when the skies open and pour out onto your backyard grill. Let PaleoChef save the day. Simply trim those breasts and brown in olive oil over medium heat. Just as they are done, pour a small amount of Maple Mustard on each piece of chicken, turn heat to low and cover. In just a few minutes, you’ll have a flavorful chicken breast the whole family will love. 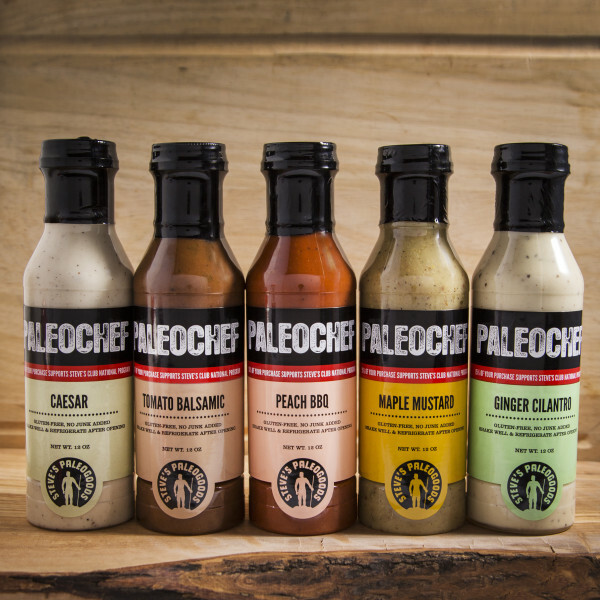 PaleoChef dressings, sauces and marinades combine herbs, spices and fresh ingredients to create the perfect compliment to any meal. Sweetened only with honey, they are the cleanest on the market. Be sure to check the deck of other packaged dressings, they might contain hidden sweeteners and preservatives you don’t want or need. PaleoChef helps you stay true to Paleo! Let us help you make every meal delicious.